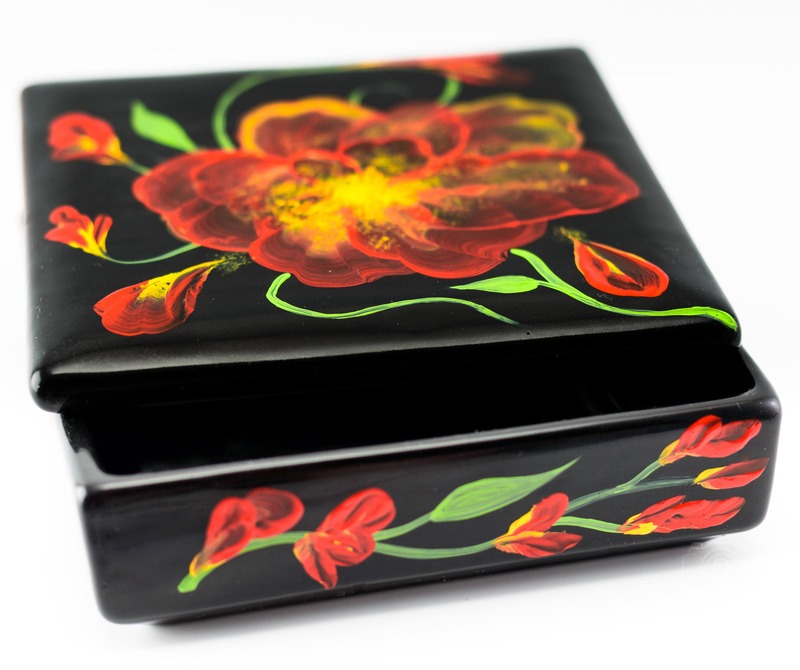 This Ceramic Trinket Box with lid would make a unique gift. 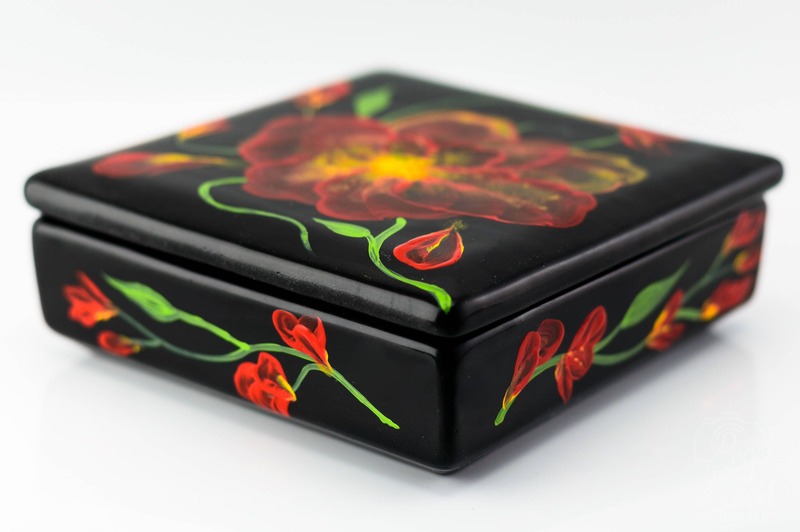 I hand painted this box all glossy black and it was fired to set on the ceramic piece at a local Ceramic Shop. 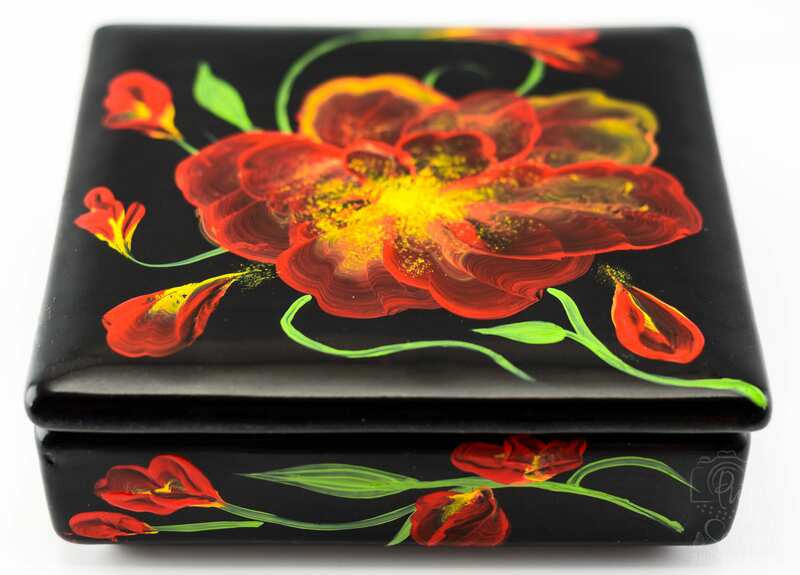 Once completed I then hand painted the Poppy Design with flowers using Acrylic Enamel paints and heat set in the oven and signed by American Artist Penny Firehorse. 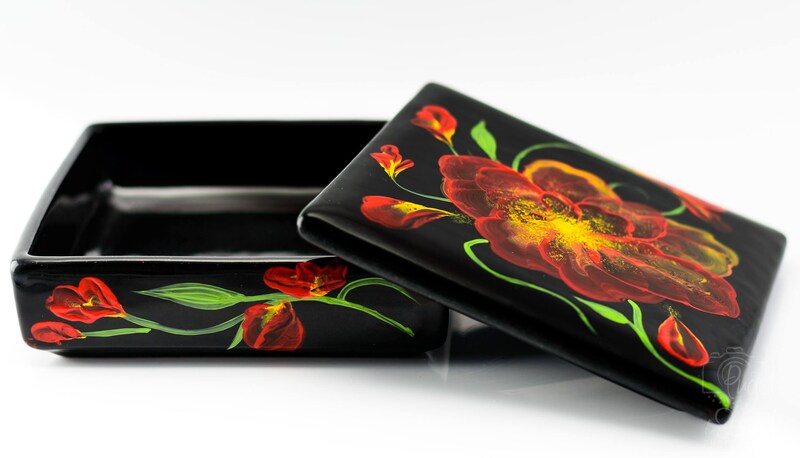 It can be used as a jewelry or trinket box or a place for keepsake items. 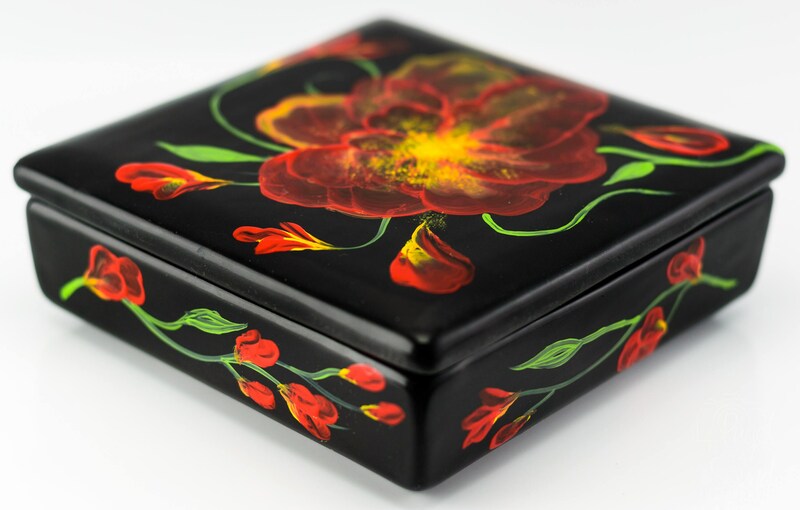 It measures 6 in D x 3 in H x 6 in W.
It is 100% hand-painted using quality acrylic enamel paints and are cured resulting in a scratch-resistant, high-gloss finish. It is recommended to hand wash only to preserve heirloom quality.